September 30th. It’s been a month now since Hanjin Shipping filed for bankruptcy. So what has happened over the past month? A lot … but not enough. A little over a week into the chaos U.S. Bankruptcy Judge John Sherwood granted the company provisional protection from creditors. This enabled some ships entry to U.S. ports so that the owners of the cargo could begin the process of retrieving their goods. That happened on Friday, September 9th. The next day a couple of the dozen or so Hanjin ships destined for the west coast were given permission to dock at the Port of Long Beach. This was welcome news to the retailers anxiously awaiting merchandise for the start of the holiday shopping season. But the release represented only a small percentage of the $14 billion in stranded cargo. And not only did the goods begin to flow but the company began to gain access to badly needed funds in the form of loans. 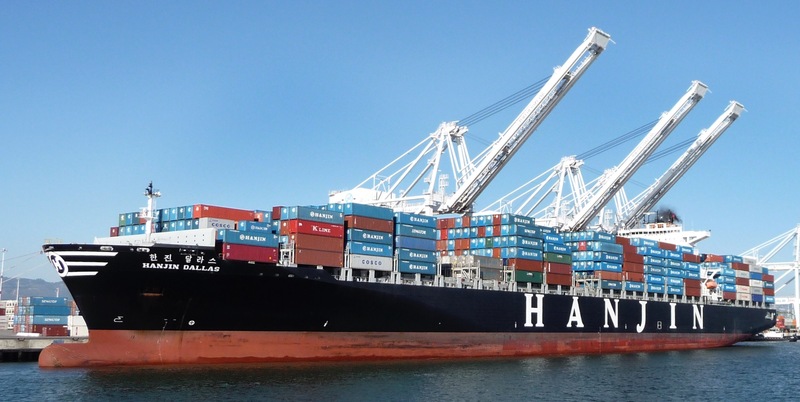 About two weeks ago a former Hanjin chairwoman pledged $9 million in private funds, and Hanjin Shipping’s parent company pledged to raise $90 million, funded primarily from Korean Air Lines and Korea Development Bank, Hanjin’s lead creditor. These funds would presumably go toward continued release of stranded cargo. According to Reuters, HP, Inc. filed papers in court stating that it would be willing to pay right away to get its cargo off Hanjin vessels. This was to avoid “irreparable harm” to its business. Many retailers and manufacturers are still struggling, and as the holidays approach the situation becomes direr each day. Some of the hardest hit are small and medium-sized businesses that don’t have the ability to absorb losses that larger companies do. And, as John Ahern noted, the banking industry incurs indirect exposure as those same companies’ financial conditions are compromised. I know some of this first-hand, as two of our clients have been impacted by raw materials and merchandise stranded on Hanjin vessels. Fortune Magazine reported that over half of the 141 Hanjin vessels are blocked from docking. With this much chaos, some companies may not yet be aware that they have been impacted by this bankruptcy. So all of this leads to three overarching issues that I don’t believe have received enough attention: supply chain preparedness and response, systemic shipping industry problems and poor bankruptcy planning on Hanjin’s part. Awareness: Enhanced business intelligence. “Keeping your finger on the pulse” of what’s going on across your entire supply chain. Regularly monitoring the condition of your suppliers and staying in very close, deep, regular contact with them. Understanding the impacts that seemingly disparate events can have on each other from a “whole system” perspective. Agility: Developing multiple, alternative strategic/action plans incorporating diversification, and a commitment to rapid deployment of any one of them – “just in time” – when unexpected events occur. In other words, contingency planning. Resilience: Streamlining the way you do business, internally and externally, to enable faster, “just in time” decision making and deployment. Ensuring effective supplier relationships that extend resilience across the supply chain. Regular surfacing and “fleshing out” of potential issues before they occur. Aggressive credit exposure management. Redundancy: Where possible, establishing multiple sources of merchandise, raw materials and transportation. Establishing a redundant infrastructure so you can receive, produce and distribute products in the event of unexpected disruptions. Diversifying your supply chain portfolio. In future articles, I will address the systemic problems plaguing the shipping industry and the issue of bankruptcy planning, but before closing, I could like to acknowledge valuable contributions to this ongoing dialogue by two experts in their respective fields. Rob Brown, president of Incite! Decision Technologies, reiterated the importance of monitoring supplier financial health, contingency planning, purchasing portfolio diversification and effective purchasing policies. And Andy Gastley, vice president at Insurance Office of America, provided insight as to how some in the insurance industry are dealing with policy exclusion from this type of disruption.